The Mexican Heather likes full to part sun and grows to a foot tall. 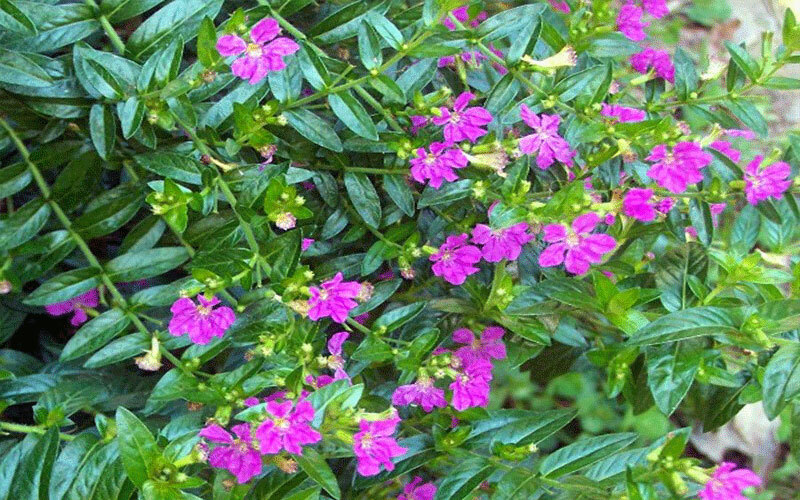 Plant for front of the border, planter boxes, or grow in "drifts." Cut it back several times a year. 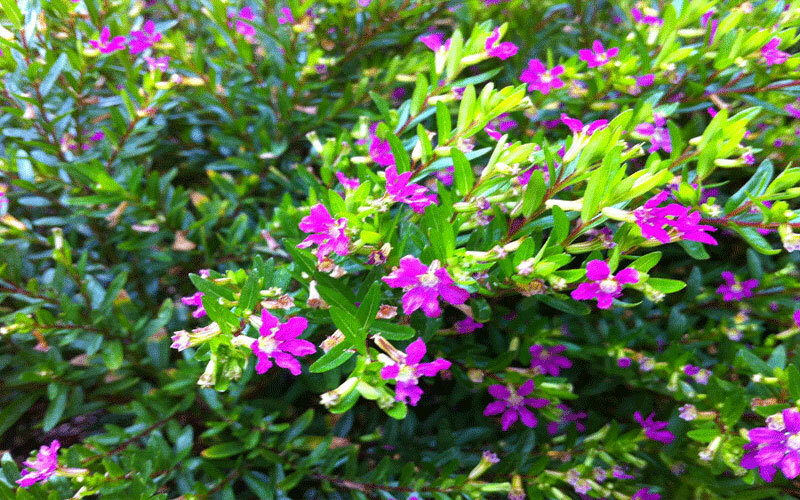 Mexican heather is a dwarf shrub also known as false heather it grows natively in Mexico and Guatemala. It also attracts butterflies with is aroma. In the United States the plant thrives as a ground cover and low hedge. 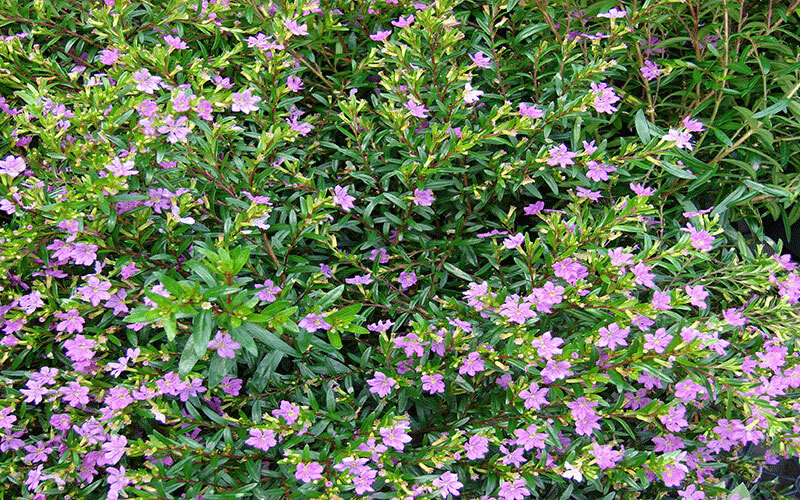 Gardeners prize the shrub for its small flowers in shades of white, pink or purple, its compact growth habit and its attractive evergreen foliage. Plant Choose a planting site that receives full sunlight throughout the day. Apply a 1-inch layer of organic compost and use a garden tiller to incorporate the material into the soil, increasing drainage and fertility. Use a shovel to dig a hole of equal depth and three times as wide as the root ball. Insert the root ball into the hole and carefully cover the roots with soil. Water immediately after planting to collapse any air pockets. Space plants at least 18 inches apart. Spread a 1-inch layer of mulch over the planting site to insulate the soil, suppress weeds and increase moisture conservation. Start the mulch layer about 3 inches from the base of the shrub to allow air circulation and prevent fungal diseases. 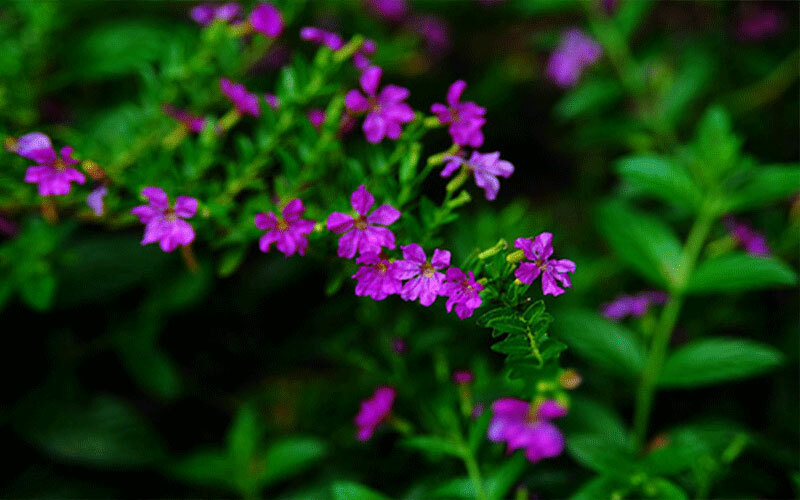 Water Mexican heather once every five to six days during spring, summer and fall to prevent the soil from drying out completely. Decrease watering to once every 10 days during winter, when the plant is in a state of dormancy and requires less moisture. Feed three times per year: once in early spring, again in mid-summer and finally in early fall. Use a balanced 13-13-13 NPK fertilizer to provide proper nutrition for rapid growth and flowering. Apply at the rate recommended by the manufacturer for the best results.